Little doubt now that the Braves are ready to go with the aforementioned Jordan Schafer in center. For real. This year. The last impediment was finding somebody who would take Josh Anderson off their hands – he’s out of minor league options. 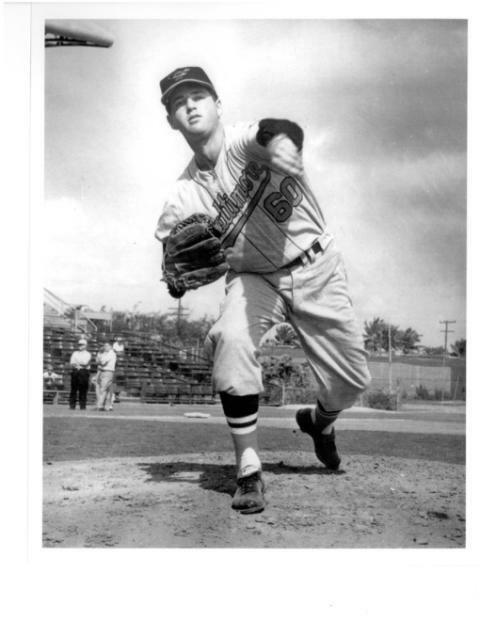 The Tigers accepted, payment in the form of a 25-year old AA-pitcher named Rudy Darrow who has fought back from Tommy John surgery and might be a middle relief candidate sooner rather than later. But it might as well have been Clarence Darrow. As I understand the way the Bravos’ thinking evolved this spring, it went from 1) Gregor Blanco in front with Anderson as an acceptable alternative and Schafer as a long shot, to 2) Blanco sliding to the back of the pack, to Schafer looking so sharp that they began to try to deal Anderson to clear a path for him before opening day, to 3) a fallback of keeping Anderson for a little while after Opening Day and sending Schafer to keep in shape in Richmond while they continued to try to trade Anderson, to 4) committing to Schafer and resigning themselves to losing Anderson on waivers if necessary. Anderson has proved himself a superior baserunner, decent centerfielder, and adequate hitter in each of the last two Septembers. But given the Astros’ inexplicable desire to trade for Michael Bourn when they already had a Bourn-like figure in Anderson, and the Braves’ willingness to sacrifice Anderson to give Schafer a clear path, one assumes his own teams have seen weaknesses in his bat that would be soon exposed over a full major league season. In any event this underscores the Schafer point below. Pure fans, step back and admire what is to come from the kid. Fantasy players, grab him and tell no one of what you have seen this day.